Have you seen the New DCWV Little Darlin' Stack? It's gorgeous and has the best gold foil accents! I used this stack for my layout about having breakfast with Piglet. 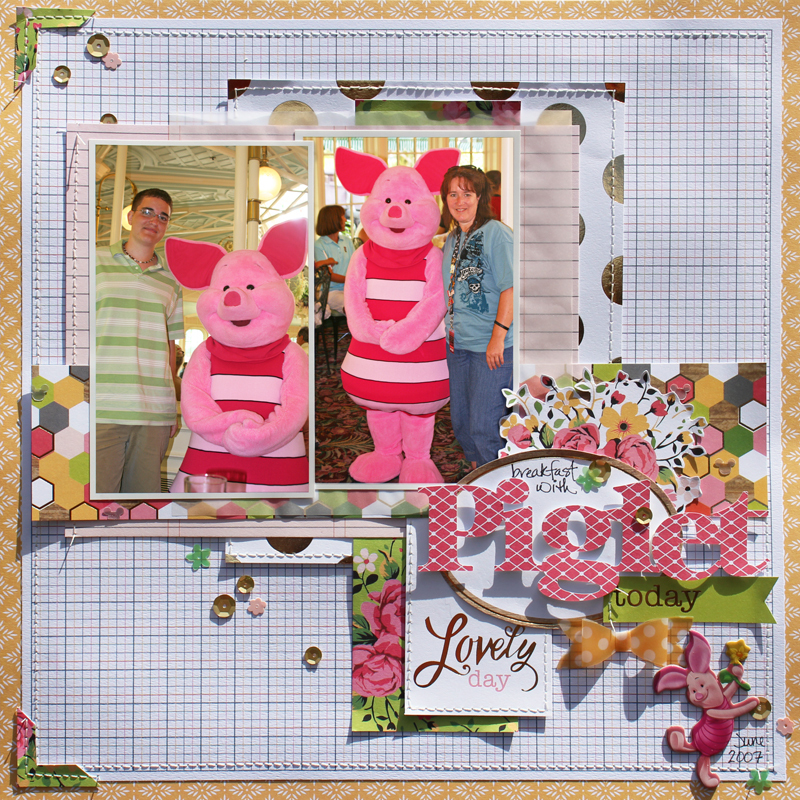 Piglet is tricky but the shades of pink in this stack are perfect. I love the fresh designs and especially the gold accents. The white with gold dots is one of my faves but for this page I love the multi color "honeycomb" with gold paper. 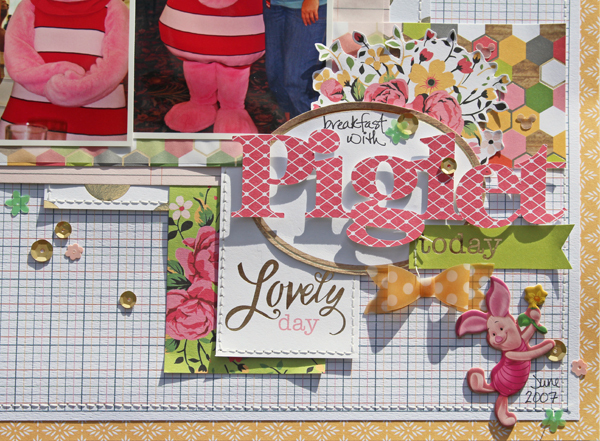 The tag, today strip, oval block, and floral die cut shapes are all cut from one of the papers. The vellum bow is from the new Mini Album DIY stack.